Dear So-Kyokushin friends, I hope you all are fine and in good spirit. 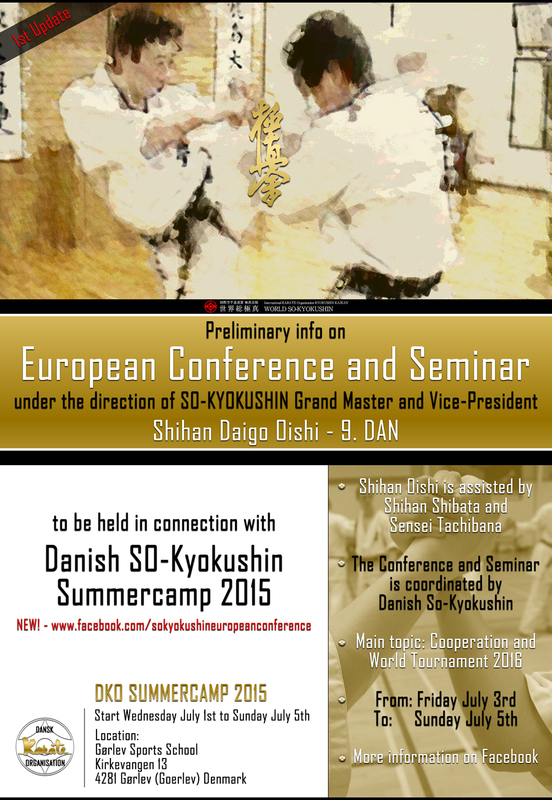 held in Denmark Friday 3. of July to Sunday 5. of July 2015 and led by World Vice-President, Hanshi Daigo Oishi. The Conference are held as a last part of the Danish Summer camp. The full Camp are from Wednesday 1. of July where you also are most welcome to take part. This mail contains the first important info, but more information will follow very soon. (please see the attached file).